For those who find this old post: I strongly suggest you go to my UPDATED gift list at a much later post. I don't know about you, but the recent advertisements for Black Friday shopping (having to compete with Black Friday Ninjas?!!) leaves me... well... afraid! I decided to stay home, play with my husband and dog and cook a chicken... (go ahead, call me chicken). Tickets to a writer's night, fav artist's concert, symphony, ballet, musical, play, art museum or other creative event. Great for inspiration! Dinner out, listening to someone else play for a change! Sensaphonics 3DS Active Ambient ear monitors... you can get cheaper ones with less functionality, too. A new computer, laptop, tablet or phone. A donation to a charity in honor of the giftee. Again... 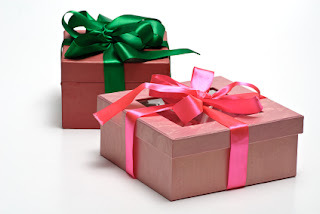 Please visit my updated gift list for current links and more suggestions. Lots of great ideas Judy!